"Over the last few months Uber has provided significant evidence to the court to demonstrate that our self-driving technology has been built independently," wrote Angela Padilla, Uber's associate general counsel for employment and litigation, in a memo to workers obtained by the New York Times. "Over that same period, Uber has urged Anthony to fully cooperate in helping the court get to the facts and ultimately helping to prove our case." Waymo — previously a division within Google — has accused Levandowski of taking 14,000 files with him before founding the self-driving truck company Otto, which was bought by Uber a few months later. Uber hasn't denied that Levandowski took the files, but does claim to have never used them or had them in its possession. 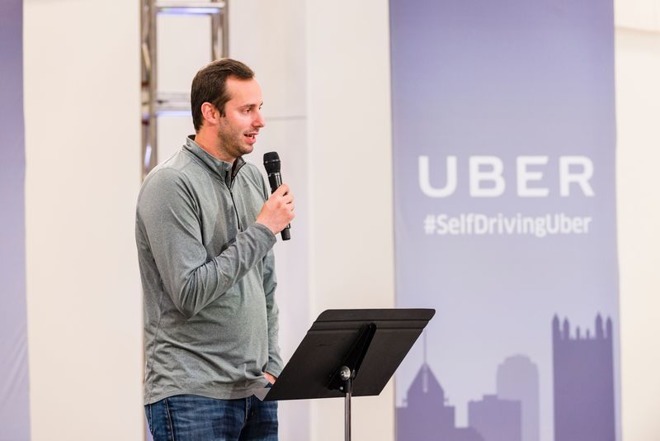 Levandowski has remained silent, refusing to cooperate with either Uber or a federal judge, choosing instead to invoke his Fifth Amendment rights. Prior to being fired, the engineer had already been sidelined, taken off work on LiDAR technology first by Uber and then a court injunction. The company is also facing a possible criminal investigation, which likely increased the pressure to distance itself from Levandowski. The situation could benefit Uber's main U.S. rival, Lyft, which has partnered with both General Motors and Waymo on self-driving projects. Apple's own self-driving efforts have been largely kept in the dark. The company has started public testing using modified Lexus RX450h SUVs, but it remains unknown if the company intends to partner with an existing automaker or design its own vehicle. That decision could happen by the end of 2017.